At Advanced Urgent Care & Occupational Medicine, our Workers Compensation and Occupational Medicine business is growing fast! We are looking for a Sales Manager to build, motivate and develop a team of 3 high energy, goal oriented sales reps. This is a new position and reports to the Director of Business Development. Our best candidates will have a successful track record as a business-to-business sales rep, then 2 to 3 years managing B2B sales professionals. This person will demonstrate the energy, determination and enthusiasm to drive business growth through a successful sales team. Achieving business growth by motivating and managing sales team to consistently hit sales targets. Recruiting and training sales staff; managing performance including setting goals, coaching, mentoring and providing ongoing feedback. Building strong customer partnerships, helping them meet their business objectives. 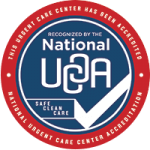 At Advanced Urgent Care, we are proud to treat everyone like family. If you meet the qualifications listed above, we’d love to hear from you!